This article explains how and why you may want to redeem Avios on Alaska Airlines. Most readers of Head for Points will know that you can redeem Avios points sitting in a British Airways Executive Club account for any of the 13 airlines within the oneworld alliance. As well as the oneworld members, British Airways has three additional ‘earn and burn’ partners as you can see here – Aer Lingus, Air Italy and Alaska Airlines. Redeeming Avios points on Aer Lingus is a fantastic deal because of the lack of fuel surcharges as I explained here. 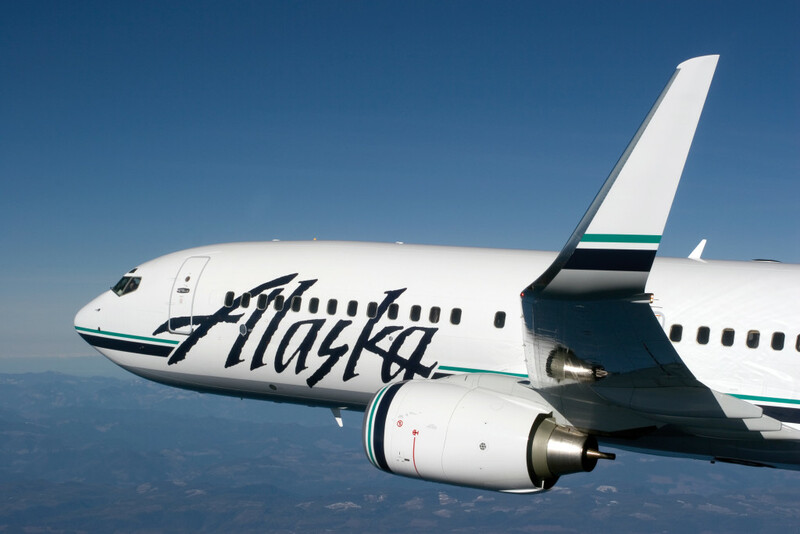 This article looks at their other partner, Alaska Airlines. I have not written a ‘university’ article on Air Italy because of the high taxes and charges required. This Head for Points article gives you some background on how to redeem Avios on Air Italy. Despite its name, Alaska Airlines is based in Seattle. Whilst it flies more passengers to Alaska than any other US airline, it also serves over 100 other destinations in the US, Canada and Mexico. The airline expanded substantially in 2016 when it acquired Virgin America, the US regional airline which operated primarily on the West Coast. All of those flights have been rebranded, now carry Alaska Airlines flight numbers and can be booked with Avios. Alaska Airlines is particularly good for getting to Hawaii with more than 175 flights a week from ten West Coast cities (Anchorage, Bellingham, Los Angeles, Oakland, Portland, Sacramento, San Diego, San Francisco, San Jose, and Seattle) to four Hawaiian Islands (Big Island, Kauai, Maui, and Oahu). Whilst not a part of any major airline alliance, it has partnerships with many airlines including British Airways. You can earn and spend Alaska miles with British Airways and even gain Alaska status by crediting BA flights to their programme. That article explains why this might be a smarter idea than you think. The only way to book is by calling British Airways Executive Club. The cost will be based on the distance you are travelling. If you want to work out the cost before you call, you can use the ba.com Avios redemption calculator tool. There is one ‘tweak’ to remember. On two-class planes, Alaska calls their cabins First Class and Economy Class. Because of this, a redemption ‘up front’ costs FOUR TIMES the standard number of Avios rather than triple because British Airways applies the First Class redemption rate. Their home page is here. You do NOT need to log in or register to search availability on miles. Alaska offers redemption availability at varying levels of pricing depending on how busy a flight will be. You can only redeem when Alaska is showing tickets at the lowest level of pricing. The Alaska award charts can be accessed here but essentially you are looking for Alaska to show you one-way Economy flights at the lowest price level (5,000 miles for a ‘Hop’ flight through to 12,500 miles for a ‘Leap’). Remember that you will NOT pay these prices when you book using Avios. These are the prices using Alaska miles. The price you pay will be based on the Avios redemption chart. To double-check that a flight is available, you can do a dummy miles booking on the American Airlines website. Again, no registration is required. If the Alaska flight shows as available for booking with American miles then it will also be available for booking with Avios. Get on the phone to BA! The only fees payable will be the US security charges which are nominal. Alaska lets you switch your flight to another one for just $50 – even if no award space is available. You must keep the same routing and travel on the same day. This can only be done within six hours of your original departure time – it is handy if you wake up in Hawaii on your last morning and decide you can’t bear to leave for a few more hours! Whilst there are other Avios options to Hawaii with American Airlines, Alaska Airlines offers you a valuable additional option and one which, because it is a relatively small airline, can offer redemption space when other options are not available. There is also a link at the bottom of that page to view how many Alaska miles when flying BA. You can book BA flights with Alaska miles. But not every route. I believe you can only redeem on Europe to North America. You can use this section of Alaska’s web-site to see which airlines are available by region by putting in the regions you are travelling “to” and “from”. Unfortunately Europe-to-Europe only shows Finnair! Thanks Rob, I used Alaska in 2017 and they code shared me onto an AA flight, the same AA flight that cost twice as much at the time of booking, so was pleased with making the saving but had no idea Alaska were part of one world! Will apply my BAEC next time I use them. Alaska are not part of One World. They have partnerships with a number of airlines including Singapore and Emirates. Alaska is not in one world. In fact Rob even says that they are not in a major alliance. They just have individual agreements with some other airlines which can be to your advantage! As Rob and the commenters above have noted, Alaska isn’t part of One World, but apparently they have said they might be interested in becoming a “One World Connect” member. So it isn’t possible to earn BA tier points on AS flights now, but perhaps sometime in the future? I have 40k Alaskan miles due to expire in a few months and am struggling to see a way to have activity on my account to extend their life. Their shopping portal says it can’t be used by people in the UK. It looks like buying some miles might be the way but the price isn’t great. Transfer from Marriott Bonvoy might be an option? If you’re taking a BA flight, you could credit that. Or an Aer Lingus flight. Unfortunately they dropped Air France and KLM last year. They show something called The Opinion Terminal, but of course this might be limited to North America. Would redeeming and then cancelling the flight for a refund work (as it’s usualmy only £4.20 in taxes) or are their redemptions non-refundable? In my opinion, a terrific, friendly airline. As a long distance walker I have been fortunate enough to use them on a number of occasions to explore the great unspoilt Alaska, particularly as some locations cannot be reached by road. Not all services run all year round, or the timetable is severely restricted. Combined using the popular Alaskan ferries, which go to many of the outlying communities, makes for a wonderful holiday…..if you like the great outdoors. I wondered if you’d covered baggage allowances on Avios flights? It’s extremely difficult to find info without doing a dummy booking. Since Avios are quite handy for long haul one way journeys, I was thinking of using Avios for emigrating and i’m trying to find which airline gives me the most generous baggage allowance. BA would give a couple an incredible 256kg of baggage allowance in First with BAEC Gold, very generous! There are an awful lot of weird rules but ignoring those it does seem fairly simple for Oneworld partners (30/40/50kg rule for Y,W/J,F plus 15/20kg extra if silver/gold). However, BA seem quite different with allowances varying from 0kg (HBO) to 128kg per person! Presumably, in effect, this means that you can book a cheap 6am morning flight, then at 6am the day before, pay the fee to change it to a much more expensive departure later on the calendar day of travel, assuming at this point the flight isn’t fully booked. Would I be right in this interpretation? The flight change fee is also reduced to $25 between Alaska’s busiest shuttle city pairs: Seattle-Portland, Seattle-Spokane, Anchorage-Fairbanks. Handy for me as I visit Portland a lot and find myself on the BA flight to Seattle frequently. Tell me if im being silly….BUT…. Sorry, we’re unable to show you prices for that route at the moment. You may be able to find prices and check availability when you search and book. Am I being daft ? I find that once you select more than one date, this happens. Once you finalise the dates you want, search for them directly and you should get to the next page.. I tried the change of flight the other day and Alaska would not do it as it had been booked on points via BA and that as a result they did did not have access to a certain element of the booking (which I cannot remember what they said.) For everyone’s information, my initial flight was SJC>PDX>OGG leaving at 6:25am with a 3hr layover and I tried to move it to SJC>OGG at 8:25. Additionally, as I was sure I would be able to do this, after my first rejection I called Alaska again and got the same reply, whilst when I was at the airport I then got to the final stage and getting my card out and then it was a no go again. That said, if you book direct with Alaska it seems very easy to do as they were all saying ‘sure’ until the ticket number got punched in.